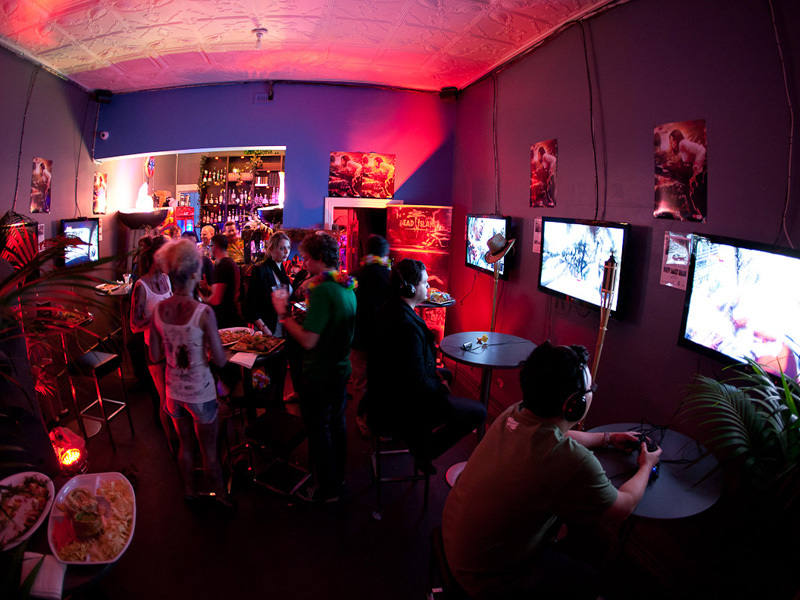 September will be the last chance for Melbournians to get a drink at the videogame-themed bar. The Mana Bar is an Australian videogame-themed bar spearheaded by Guy "Yug" Blomberg, Pras Moorthy and our own Ben "Yahtzee" Croshaw. Unfortunately, it looks as if the Melbourne branch of the bar is closing its doors for good. "We're closing the Melbourne bar in September, for various reasons, which we're not ready to talk about yet." said Megan Betteridge, Mana Bar Melbourne's brand manager. The first Mana Bar opened up in Brisbane in 2010, and its smashing success led to plans for Sydney, Melbourne and possibly even international locations. While the Sydney Mana Bar still hasn't materialized, the Melbourne Mana Bar opened its doors on 16 July 2011. The Mana Bar premises on Brunswick St recently went up for lease, and with Betteridge's confirmation, it looks like September will be the last chance for Melbournians to grab a drink and play some Call of Duty. "There weren't enough people coming into the bar, we ran out of options," claims Betteridge. She says there are no plans to open another bar in a different location in Melbourne, and the Mana Bar team is moving out of the city "for good". The original Brisbane branch will remain open. Guy Blomberg, one of the three founders of The Mana Bar told Kotaku Australia: "I honestly don't have much to do with Mana Bar anymore, PAX Aus takes up all of my time these days." Despite being from Melbourne myself, I never actually got a chance to check out the Mana Bar. How about you guys? Will you be sad to see it go?